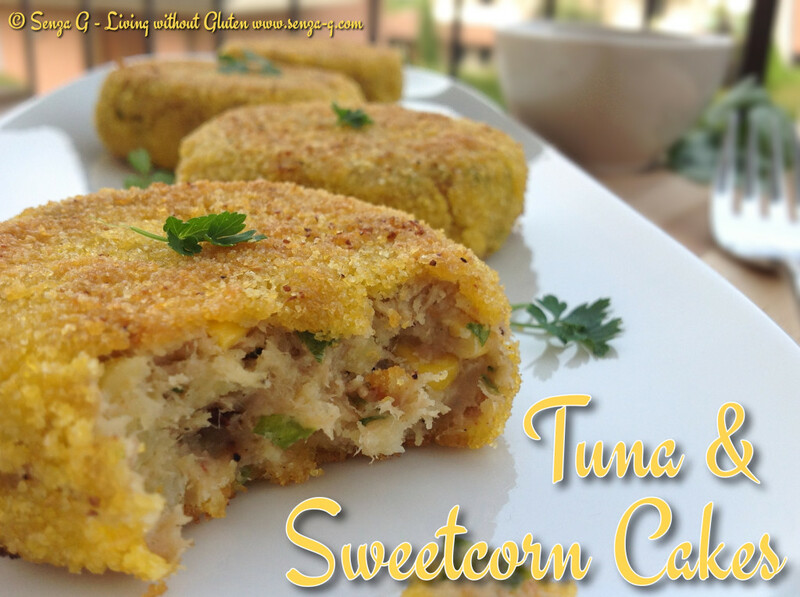 These are delicious served with a salad and would make a lovely light lunch! Crispy on the outside and so moist on the inside! Yummm! In a bowl, mash the potatoes together with the tuna. Add the parsley, chives, mayo, anchovy paste, garlic pepper, Parmesan and one of the beaten eggs. Mix well. Add the sweetcorn and gently combine. Season with salt & pepper. Form patties and place on a baking tray. Place the other beaten egg in a bowl. Pour some polenta onto a plate. One by one, dip each cake first into the beaten egg and then into the polenta. Do the same with all the cakes. Repeat this process one more time. Pour a little olive oil in a large saucepan and fry the cakes until golden brown, turning as necessary. Serve with French Dressing or any dressing of your choice.